Lauren and Cody had mutual friends in high school and began dating after their paths crossed again in college. 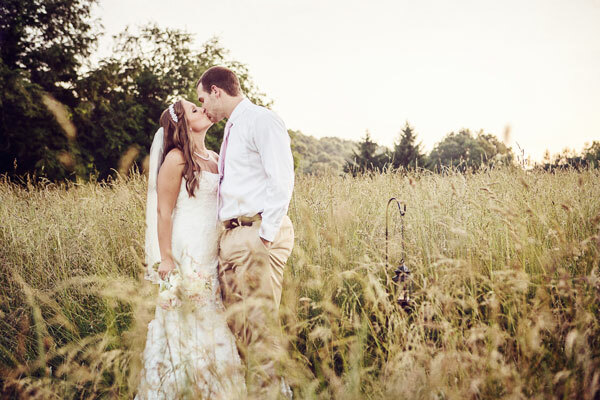 On one special day, the couple was fishing on family property; on their return, they walked through a field where Lauren always wanted to get married. Cody asked her how everything would be set up and as she described her vision for a dream wedding, she turned to find him on one knee. Lauren's favorite part of the wedding was the entire reception. "Having the reception at the same place we got married and on family property, it allowed us to really enjoy the moment and not be rushed on a strict timeline. We enjoyed the night with friends and family and danced the night away under the candle lit wagon wheel!" she says. 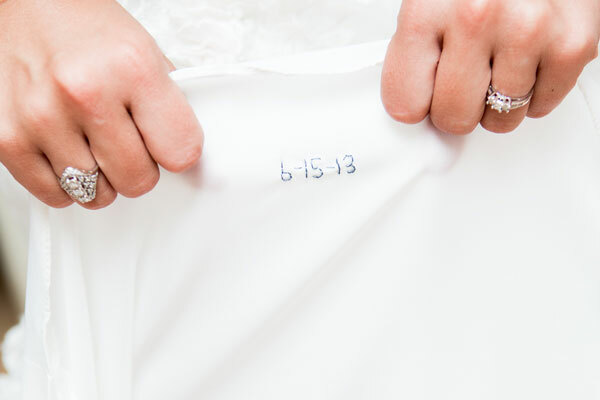 Their personalized wedding had several unique touches - in addition to the family property, the arbor was handmade by Cody and Lauren's father from wood of her great-grandfather's barn. A wagon wheel was made into a chandelier and hung in a tree over the dance floor with candle lit lanterns and Mason jars dangling from it. Lauren had flowers shipped in from California (thanks to her brother who designed and made all the flower arrangements for the ceremony, centerpieces, bouquets, and boutonnieres), and Lauren's bouquet, wrapped with leftover lace from her wedding dress, had a special touch thanks to a pendant she made honoring her late grandmother. Soft pinks, creams, and sage green made up the rustic color palette; flowers were a mixture of peonies, hydrangeas, snap dragons, Queen Anne's lace, and roses. 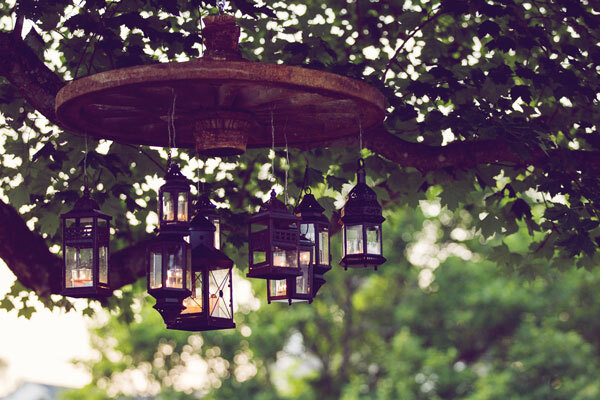 Centerpieces were collections of glass bottles and jars found at antique shops, filled with flowers and mixed in with lanterns throughout the ceremony site. 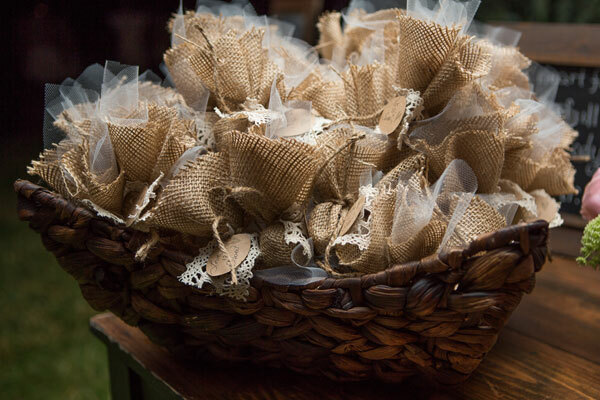 Guests received burlap sacks wrapped with lace, containing personalized Hershey Kisses, with a handwritten letter that read, "Love is Sweet." Be sure to see the Calloway wedding on page 114 of the second issue of bridebook!